The North Branch Manitowoc River Watershed lies primarily in Calumet County, but extends a bit into the western edge of Manitowoc County. The watershed is 49,263 acres in size and includes 130 miles of streams and rivers, 293 acres of lakes and 7389 acres of wetlands. The watershed is dominated by agriculture (78%) and is ranked high for nonpoint source issues affecting lakes and groundwater. The North Branch Manitowoc River Watershed is located primarily within the Central Lake Michigan Coastal Ecological Landscape which stretches from southern Door County west across Green Bay to the Wolf River drainage, then southward in a narrowing strip along the Lake Michigan shore to central Milwaukee County. Owing to the influence of Lake Michigan in the eastern part of this landscape, summers there are cooler, winters warmer, and precipitation levels greater than at locations farther inland. Dolomites and shales underlie the glacial deposits that blanket virtually all of the Central Lake Michigan Coastal Ecological Landscape. The dolomite Niagara Escarpment is the major bedrock feature, running across the entire landscape from northeast to southwest. Series of dolomite cliffs provide critical habitat for rare terrestrial snails, bats, and specialized plants. The primary glacial landforms are ground moraine, outwash, and lakeplain. The topography is generally rolling where the surface is underlain by ground moraine, variable over areas of outwash, and nearly level where lacustrine deposits are present. Important soils include clays, loams, sands, and gravels. Certain landforms, such as sand spits, clay bluffs, beach and dune complexes, and ridge and swale systems, are associated only with the shorelines of Lake Michigan and Green Bay. Historically, most of this landscape was vegetated with mesic hardwood forest composed primarily of sugar maple, basswood, and beech. Hemlock and white pine were locally important, but hemlock was generally restricted to cool moist sites near Lake Michigan. Areas of poorly drained glacial lakeplain supported wet forests of tamarack, white cedar, black ash, red maple, and elm, while the Wolf and Embarrass Rivers flowed through extensive floodplain forests of silver maple, green ash, and swamp white oak. Emergent marshes and wet meadows were common in and adjacent to lower Green Bay, while Lake Michigan shoreline areas featured beaches, dunes, interdunal wetlands, marshes, and highly diverse ridge and swale vegetation. Small patches of prairie and oak savanna were present in the southwestern portion of this landscape. Notes on Spring Cr & Brillion Sewage Treatment Plant, Calumet Co.
Town Of Rockland: Town Of Rockland Long Lake Apm Planning Project: The Town of Rockland, on behalf of the Long Lake Association, proposes to conduct an aquatic invasive species (AIS) education, prevention, planning and control project during the period of October 2007 - December 2009. The project elements and deliverables are specified in the Town of Rockland's Aquatic Invasive Species Control Grant application, dated July 09, 2007. The project includes; implement a new aquatic plant management plan that builds upon the plan of 04/20/06. This plan would produce an informational meeting, stakeholder survey, planning meeting, wrap-up meeting, aquatic plant surveys, spring aquatic invasive plant survey, comprehensive survey, and native and non-native aquatic plant community mapping; implement a clean boats "clean waters program" program. Watercraft inspection records will be entered into the State's online Watercraft Inspection Database. The final report will include the Long Lake Association Aquatic Plant Management Plan that conforms to guidance found in the DNR/UW-Extension publication, "Aquatic Plant Management in Wisconsin". If consultant is to provide the final report, it is recommended the Grantee provide the DNR Aquatic Invasive Species Coordinator with a draft for comment on report adequacy prior to making final. A mid-term progress report and a final report summarizing the two-year project will be provided to DNR. Manitowoc County Lakes Assn: Manitow Co. Lakes Assoc. Accesses: The Manitowoc County Lakes Association proposes to conduct education, prevention and planning activities to control and prevent the spread of aquatic invasive species into and from Manitowoc County lakes. Project elements and deliverables are specified in their AIS Grant application, dated 01/31/2013. In addition to conducting education activities to train volunteers and government agencies in monitoring and prevention methods, AIS Coordinator projects include increasing partnerships with local conservation groups. Projects also include mapping the spread of EWM on Harpts Lake, as well as mapping GPS locations of Phragmites and Japanese Knotweed throughout county right-of-ways. Additional deliverables include an annual bus tour of projects and sites, 200 hours dedicated to Clean Boats Clean Waters, attendance of 3 major events per year with traveling AIS display, and updates to the County AIS Strategic Plan. Any persons training watercraft inspectors or participating in the Citizen Lake Monitoring Network will enroll in a current Clean Boats Clean Waters workshop or Citizen Lake Monitoring Network workshop. Watercraft inspection and Citizen Lake Monitoring records will be entered into the State\2019s online Watercraft Inspection Database (SWIMS). Any publications or signs produced as part of this project will incorporate the \201CStop Aquatic Hitchhikers!\201D\2122 brand (partnership details are at http://www.protectyourwaters.org). Annual progress reports and a final report summarizing the 3 year project will be provided to the DNR. If a consultant is to provide the final report, it is recommended the Grantee provide the DNR AIS Coordinator with a draft for comment on report adequacy prior to making final payment to the consultant. The DNR is to receive both paper and electronic .pdf copies of the final report along with, or prior to, submission of grantee\2019s final payment request. 1. **9** In-lake baseline water quality monitoring of the four lakes. 2. **9** In-lake phosphorus profiles and sediment-water interface samples. 3. **9** Sediment core samples and analysis from each lake. 4. **9** Tributary flow, phosphorus and suspended solids load monitoring. 5. **9** Shallow groundwater monitoring using mini-piezometers. 6. **9** Watershed modeling for nutrient budget utilizing EVAAL and FLUX. 7. **9** Precipitation monitoring within the watershed. 8. **9** Watershed stakeholder and planning committee meetings. 9. **9** Stakeholder survey and Agricultural producers interviews. 10. **9** Final report summarizing the results as well as an implementation plan for this watershed and these lakes. The project elements and deliverables are specified in the grant application materials submitted to the Department dated January 30, 2015. 1. **9** Intensive water quality monitoring to assess baseline conditions of each lake. 2. **9** Watershed assessment review to verify watershed boundaries, update general land use and perform basic predictive modeling. 3. **9** Assess the aquatic plant community utilizing early-season aquatic invasive species survey, point-intercept survey, and aquatic plant community mapping. 4. **9** Provide for stakeholder participation and education by holding a kickoff meeting and two project update meetings. 5. **9** Generate annual project reports describing the project studies and data interpretations as well as intentions for further studies. The project elements and deliverables are specified in the grant application materials submitted to the Department dated February 1, 2013. 1. **9** Water quality monitoring to assess baseline conditions of Round and Boot lakes. 2. **9** Watershed modeling for nutrient budget. 3. **9** Tributary flow and phosphorus load monitoring. 4. **9** Compile available fisheries data to incorporate into plan. 5. **9** Shoreland condition and coarse woody habitat assessment. 6. **9** Precipitation monitoring within the watershed. 8. 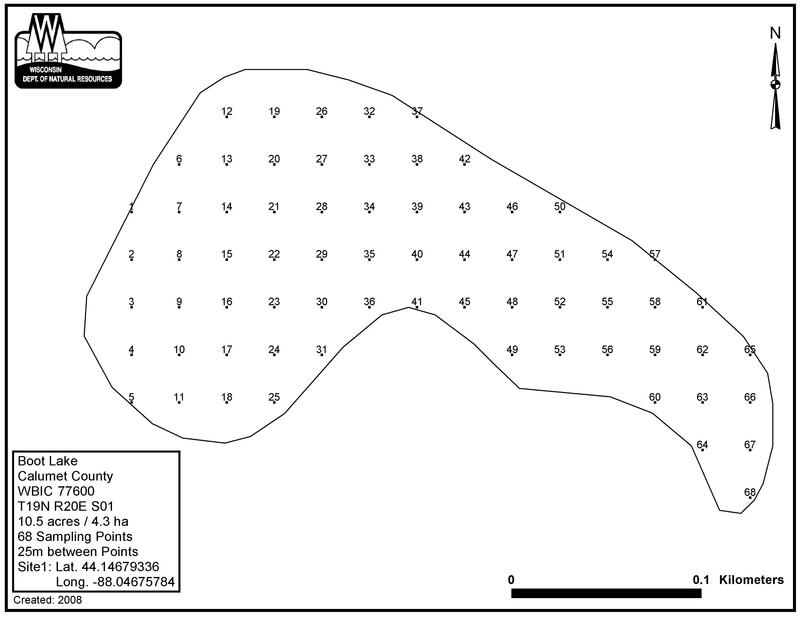 **9** Assess the aquatic plant community in Boot Lake utilizing point-intercept survey methods. 9. **9** Provide for stakeholder participation and education by holding an annual project update meeting. 10. **9** Generate annual project reports describing the project studies and data interpretations as well as intentions for further studies. The project elements and deliverables are specified in the grant application materials submitted to the Department dated February 1, 2014. 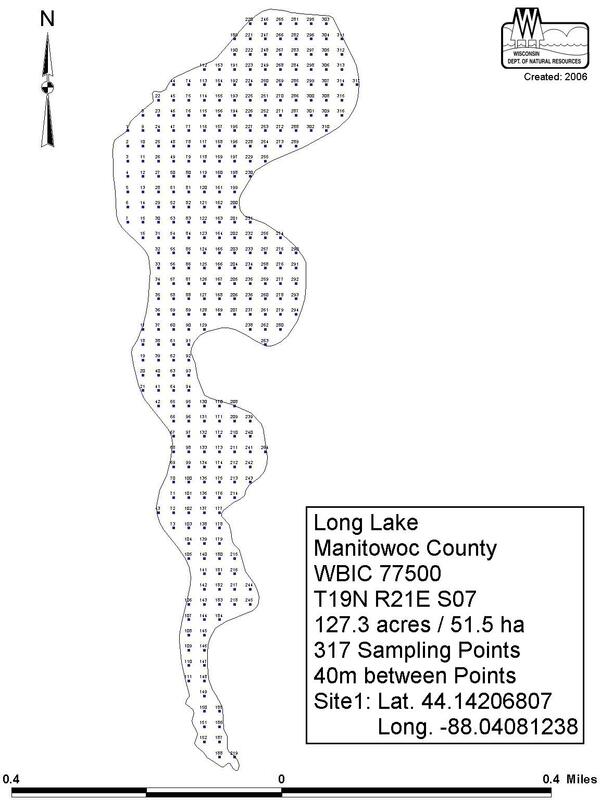 Long Lake Advancement Association: Long Lake Water Quality Study: The Long Lake Association proposes to conduct a water quality analysis study on Long Lake. The project will consist of collecting water samples at six different times from two locations near the inlet and outlet of the lake; and collecting samples from two locations in the water column, one meter off the bottom and one meter from the surface. A watershed evaluation will be done to include delineation of the watershed boundary, determination and mapping of land uses, and an estimation of the annual Phosphorus load based on land uses using runoff coefficients. The dam will be evaluated for its current use and operation, with alternatives evaluated to provide a variable water level and associated cost estimates; potential impact on fish habitat and spawning will be evaluated. A report will be prepared which will present the results and analysis of the data collected. The existing water quality and trophic status will be described, the watershed will be evaluated and nutrient loads identified from the potential sources. The existing dam will be described and water levels on the fishery will be presented. Conclusions and recommendations based on the data collected will also be included in the report. An electronic copy and a paper copy of this Final Report will be submitted to the DNR and Lake Association members; results of this report will be presented to the Association at its annual meeting and report progress in Association newsletters. Long Lake Advancement Association: Long Lake Phosphorus & Residential Impact Study: The Long Lake Advancement Association proposes to identify phosphorus sources to the lake by evaluating sanitary and storm water runoff and monitoring the inlet, outlet, and in-lake total phosphorus levels. Stream flows will also be evaluated. The project will evaluate potential northern pike spawning enhancement areas in the lake through water level manipulation. The WiLMS model will be used to develop a lake nutrient budget using data collected in Phase 1 and phase 2. Management recommendations for phosphorus control and northern spawning areas will be discussed in the final report. The Long Lake Advancement Association and the Department of Natural Resources will be provided with hard copies and electronic copies of the final report. A project summary will be included in the newsletter and a final report presentation will be done at the annual lake meeting. Long Lake Advancement Association: Long Lake Management Plan: The Long Lake Advancement Association proposes to evaluate inlet stream phosphorus sources, evaluate internal phosphorus loading, identify potential northern pike spawning areas, and then complete a comprehensive lake management plan for Long Lake. The project elements and deliverables are specified in the grant application materials submitted August 1, 2005. 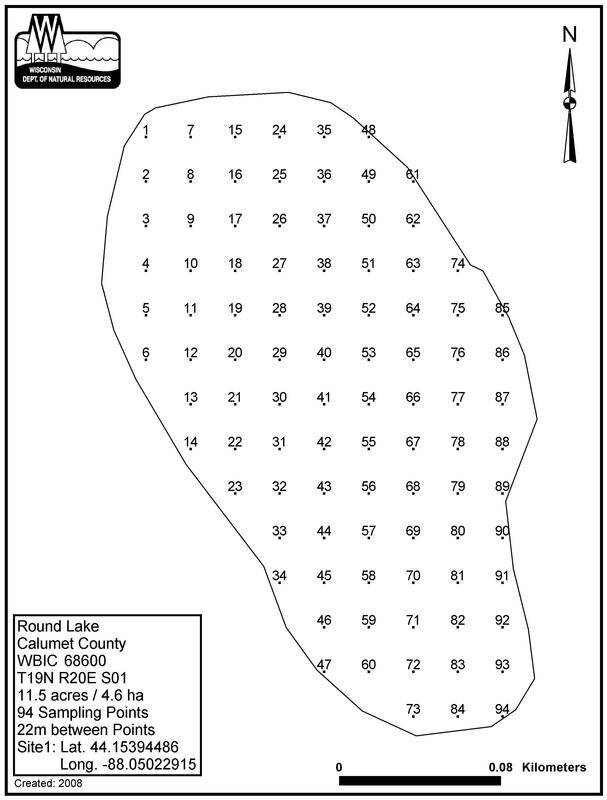 Calumet County: Phase 2 Calumet County Lake Organization: Calumet County Planning Department will organize the individuals educated through phase one of this project to establish a lake monitoring group and supply them with expertise and resources to monitor lake conditions. And for county staff and professionals to meet with interested parties from the educational sessions to develop the strategy for improving the five lake system; Grass, Long, Boot, Round and Becker. Phase two will also include organizing a volunteer monitoring group which will inventory improper land use habits along the lake system, perform periodic water testing and share information with interested parties. 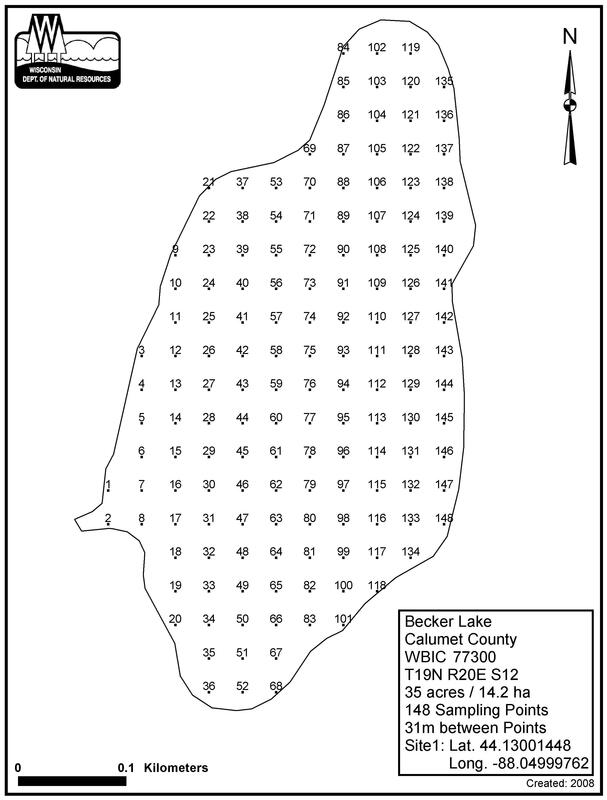 Calumet County: Calman Lake Education Project Ph 1: Calumet County proposes to conduct a lake planning project to improve local lake management in a defined group of 5 lakes within Calumet Co (and bordering parts of Manitowoc Co). Actions will be directed to organizational development of stakeholder groups. Public participation, forums, and I&E generally will be employed to enable a structured organization for helping to manage the five lake group. The deliverable will be a progress report including project actions, products, and evaluation of organizational progress that would lead to phase 2. The Department shall receive both paper and electronic PDF copies of the final report along with, or prior to submission of the grantee's final payment request. Calumet County: Bohman 001: To cost-share installation of best management practices to address direct runoff of manure into waters of the state. The Brillon Wildlife Area is located in the North Branch Manitowoc River Watershed and is surrounded by the communities of Brillon, Hilbert and Potter. The Brillion Wildlife Area is a 4800-acre property consisting of bottomland hardwoods, prairie, marsh, wetlands, some upland hardwoods and agricultural fields. In 1947, the Department of Natural Resources leased portions of the site as a public hunting ground for ducks, deer and other wildlife. By 1962, a formal proposal was made to acquire lands within the current boundary structure. The Calumet County board, the Natural Resources Board and others approved the project by the end of 1962. By early 1977, a Master Plan was adopted by the Natural Resources Board to develop and manage the area for waterfowl production and a broad spectrum of recreational hunting; and to provide opportunities for educational and compatible non-hunting recreational activities The great drought of 1976-77 brought further changes for Brillion Wildlife Area. Fires swept throughout the entire project, including private land, covering over 6,000 acres in the fall of 1976, burning deep holes into the peat structure of the marsh on the southeast and east sides. Today, the Brillion Wildlife Area encompasses over 5,000 acres of habitat devoted to a broad spectrum of uses meeting the intent of the Master Plan.